Combining the putrid licks & groove of early 90s Stockholm with the dark and cryptic delivery of early 90s death metal in the Midwestern United States, Denver, Colorado’s Bloodstrike are showing us what it means to truly redefine darkness with their first full length LP. 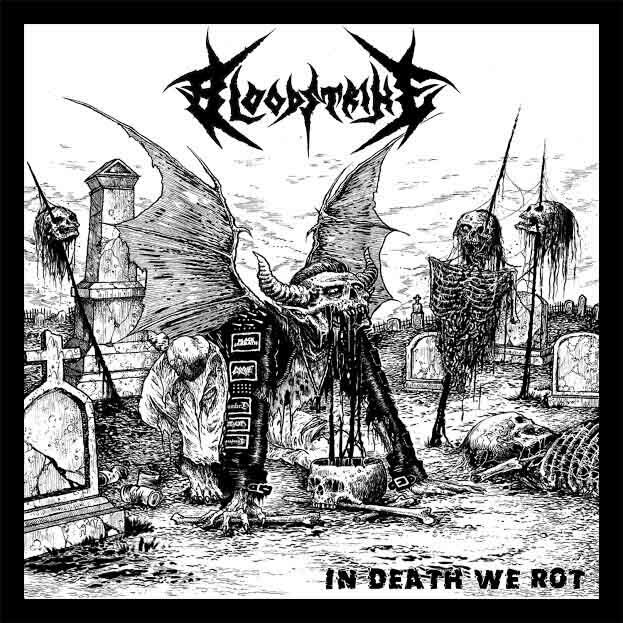 Grave, Entombed, Dismember with a smattering of Bolt Thrower and early Obituary are all present here, so If you are searching for an old school sound in 2015, Bloodstrike is the answer. After a head spinning (and splattering) demo in 2014, the quintet of metal veterans (having spent time in Silencer, Moth, and Havok to name a few) will not stop until the piles of rotten bodies their brand of death metal harvests, blot out the sun. If you prefer the ominous and rawer end of the death metal spectrum rather than what many of today’s studio wiz kids have to offer than look no further, Bloodstrike will be the best addition to your hall of suffering!! “Soulless” written by Grave & released by Century Media Records 1994.